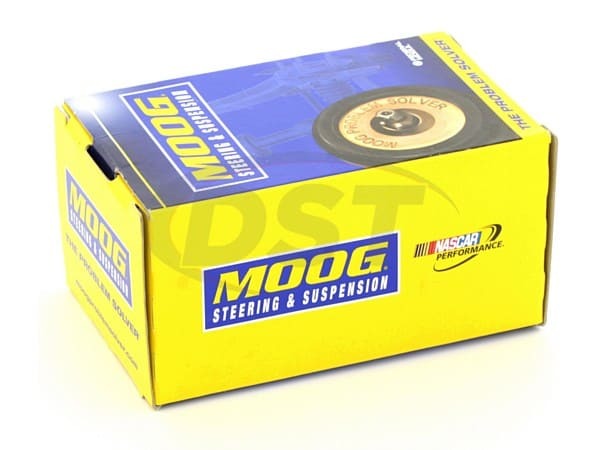 Moog's Problem Solver 29.97mm (1.18in) front sway bar bushings will replace the OE rubber bushings in vehicles like the '00-'13 Impala and the '00-'07 Monte Carlo. 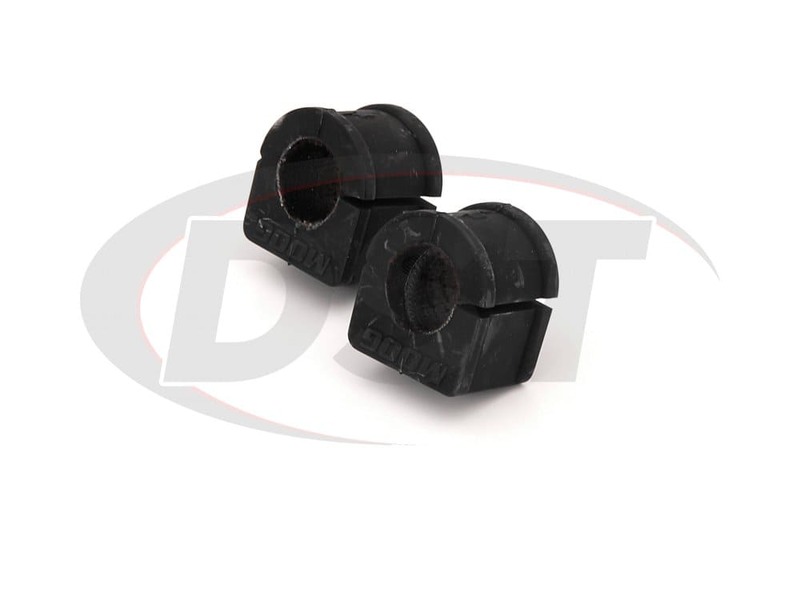 Thanks to the Syntietic Fabric Liner on the inside of these front sway bar bushings, you can eliminate squeaking and the need for regular maintenance with a part that will last longer than the originals. 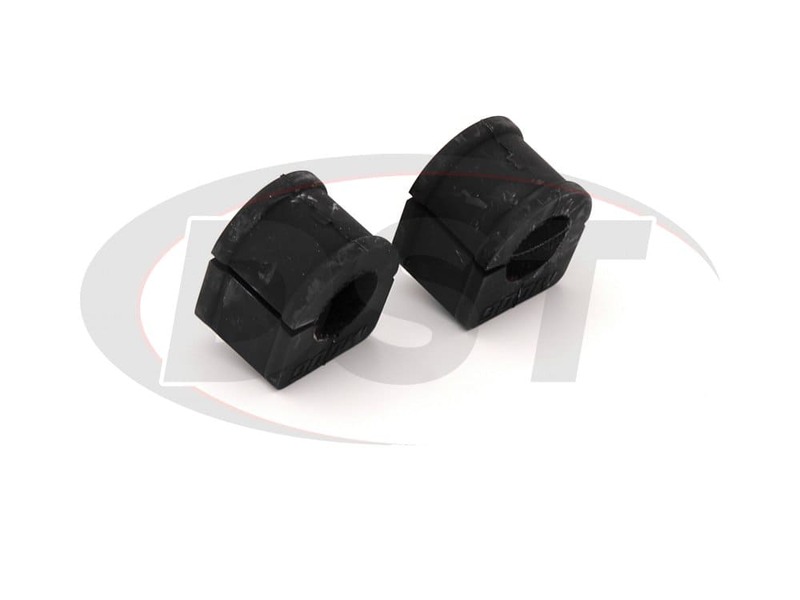 *Some of the vehicles in these year models have a larger or smaller front sway bar that will require 34.04mm or 20.32mm front sway bar bushings, so it's advised that you measure your sway bar before purchasing your bushings. The front sway bar connects the wheels on the driver's and passenger's side, keeping both tires flush with the pavement during a turn, giving you more traction. When the grease between the bushing and the bar begins to wear away or gets washed out the bushing can begin to squeak. 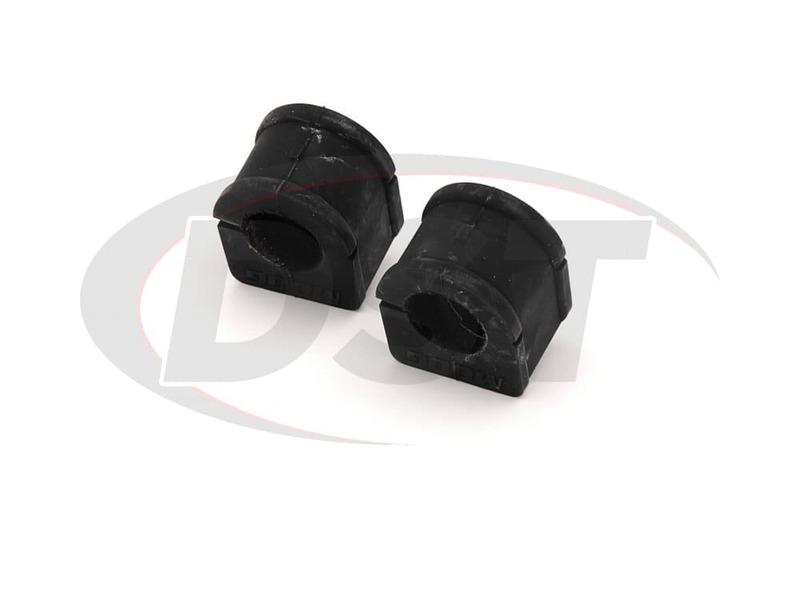 Besides this the OE bushings have a short lifespan relative to the rest of your vehicle, and when those bushings degrade your Chevy can experience body roll during a sharp turn. On the back roads that lead to DST headquarters there are occasionally peacocks wandering on and off the road (no joke), so we can appreciate bushings that can improve traction during a sharp turn. 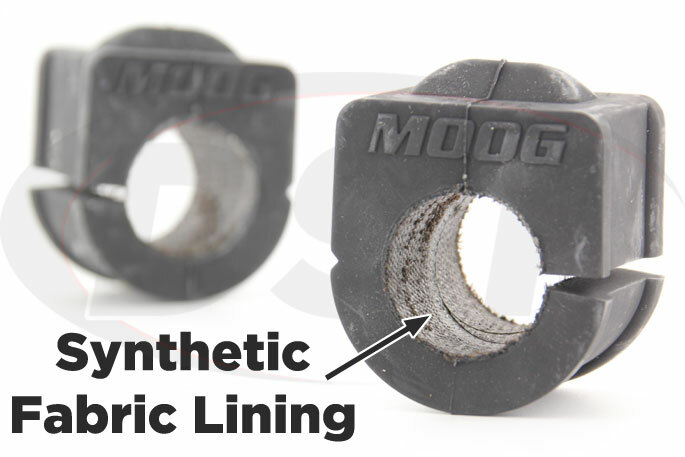 If you want to maintain the comfort level the car had when it was new, and also eliminate the maintenance requirement that those original bushings required to work properly then Moog has the answer. 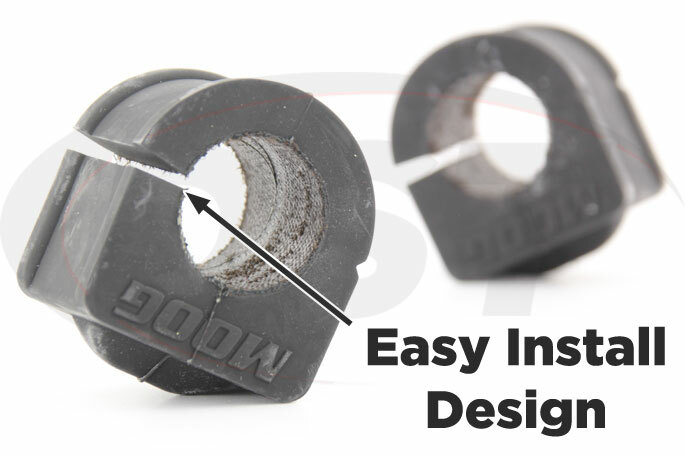 Moog calls their 29.97mm front sway bar bushings "Problem Solvers" because they do everything they can to improve the design of the OE bushings that came on your Chevy, Buick, or Pontiac. 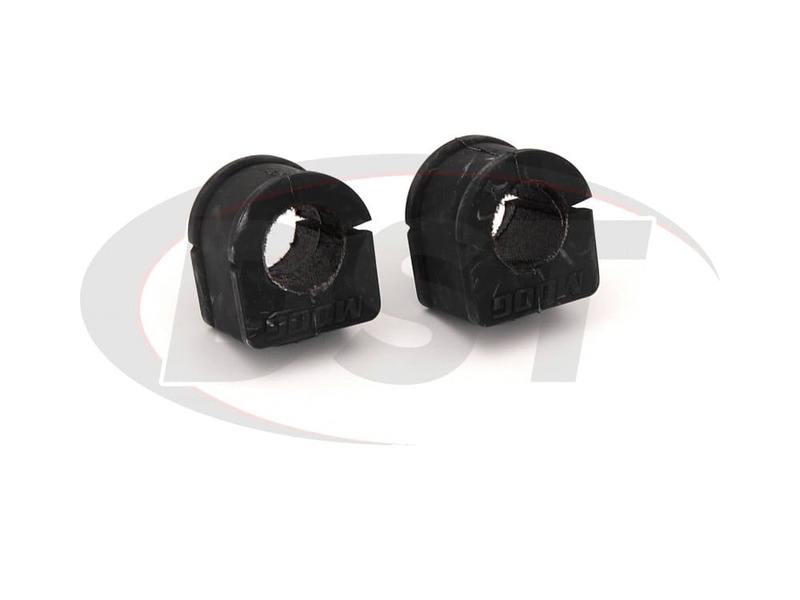 Compared to the original bushings these front sway bar bushings will last 3 times longer thanks to the Synthetic Fabric Lining. This lining will also keep these bushings quiet without any grease at all, reducing maintenance. 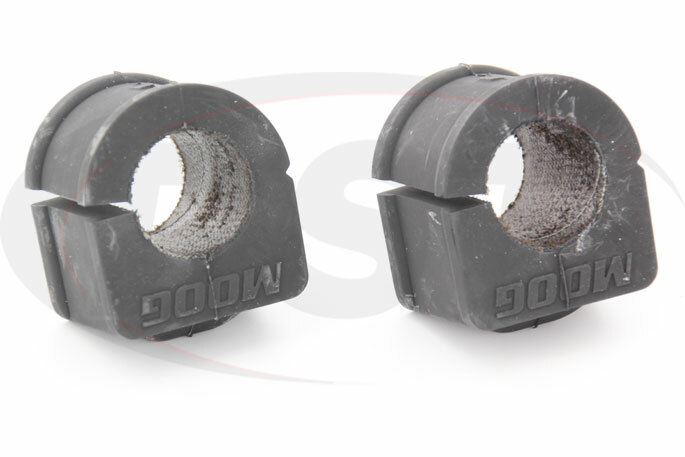 Besides the quieter operation, these bushings are much more easily installed compared to other replacement options. 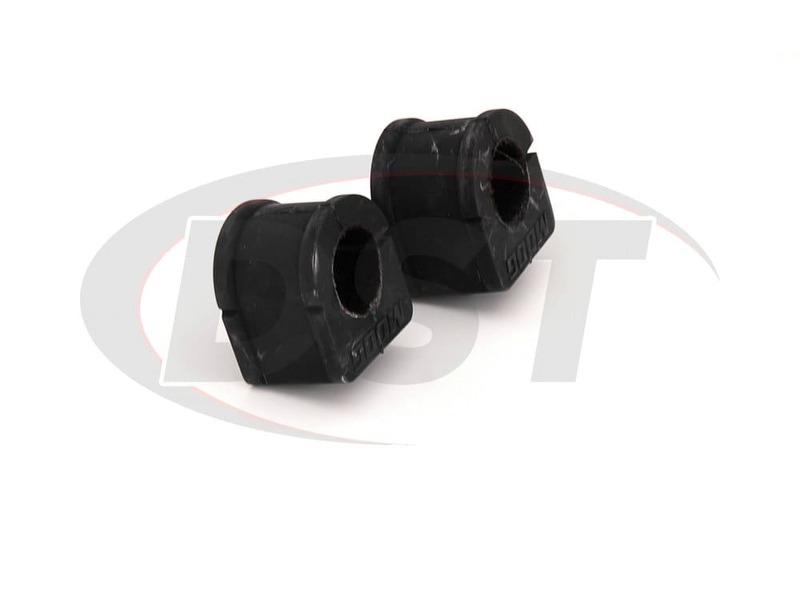 With the split design these bushings can be slipped onto the sway bar without having to unbolt it from the suspension. Once on the bar, these bushings will be held in place with the original brackets and you don't have to worry about greasing them for the longer life of the bushing.